Computer Applications in Second Language Acquisition explores computer applications in second language acquisition by reviewing and interpreting research and development in three areas: computer-assisted second language learning, computer-assisted second language assessment, and computer-assisted second language research addressing issues such as effective use of software in language teaching, values and limitations of computer-assisted testing, and the study of second language development with interactive computer programs. 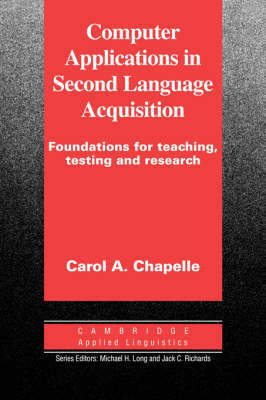 It offers a unique view of the topic by examining computer applications through perspectives from applied linguistics; it identifies cross-disciplinary work relevant to software development, use, and evaluation; and it suggests critical research directions. This is the first single volume on computer applications in the field which includes issues in teaching, assessment, and SLA research, and which treats evaluation extensively.